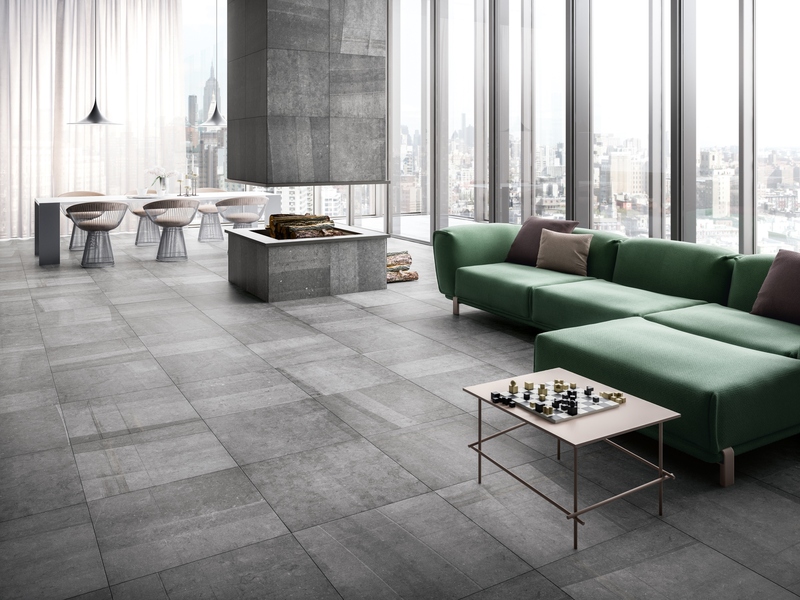 A collection inspired by the dark and vivid hues of the Belgian Bluestone, whose different machining generates two uniquely appealing surfaces. 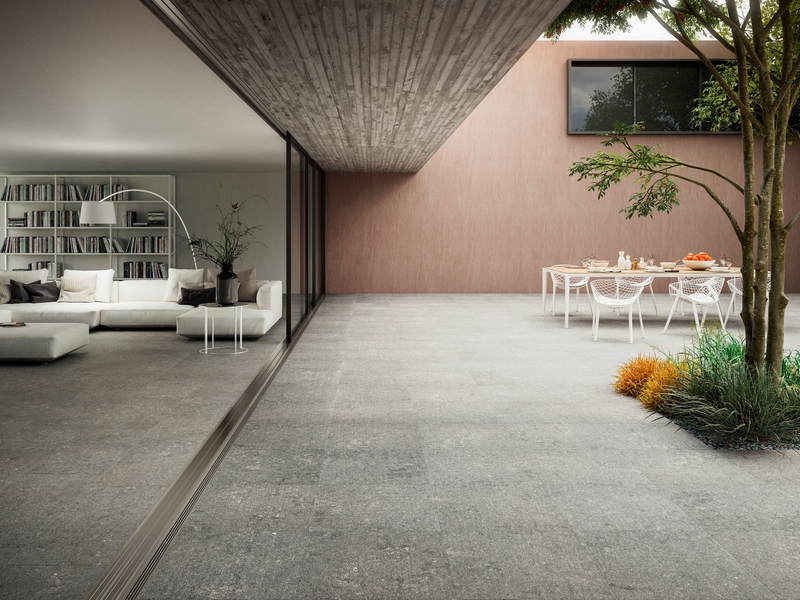 Scié is a new interpretation of the smooth surface of a cut stone, featuring the marks left by the blades and differently coloured strips. Flammé is a flambé finish with dark grey, almost black hues, the ones of a highly heated natural stone. 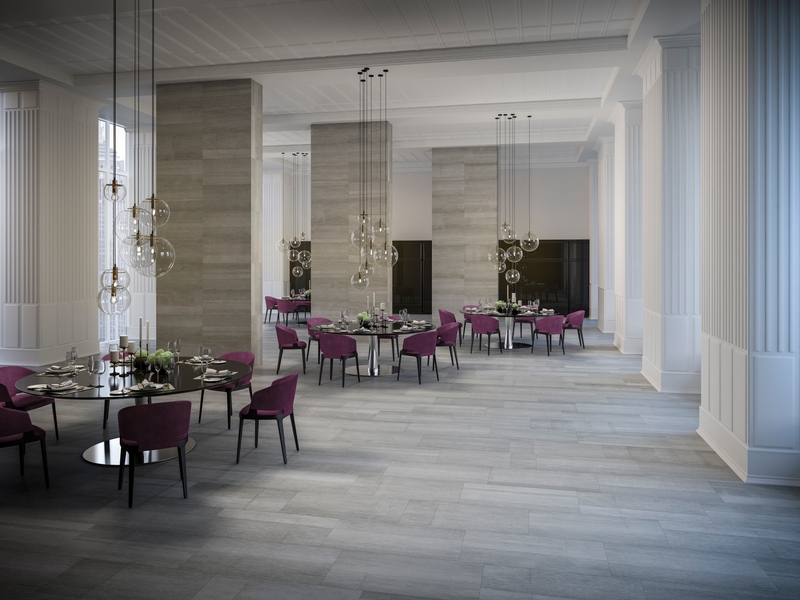 The collection is available in the 60x60 and 45x90 sizes and also in the 60x60 of the OUT2.0 version.